San Diego-based Illumina on Tuesday announced second quarter net income of $128 million, or 87 cents per share, compared to $122 million, or 82 cents per share, in the same period last year. The maker of genomics gear reported $662 million in revenue for the three months ended July 2, or $62 million more than a year ago. Illumina’s stock jumped by 20 points or over 11 percent in after-hours trading on Tuesday. “We are pleased with our strong Q2 results,” said Francis deSouza, Illumina president and CEO. 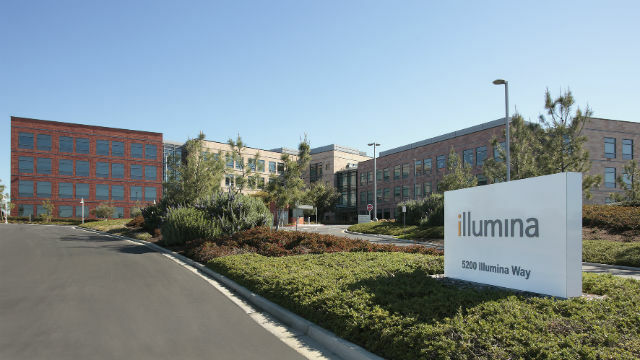 For the first six months of the year, Illumina reported net income of $494 million, or $3.35 per share, more than double the first two quarters last year, which saw $212 million in net income and $1.43 per share.